THP Plumbing & Heating is a family run company of highly skilled plumbers in Norwich, supporting landlords for over 30 years. We are Gas Safe registered heating engineers that offer a friendly, reliable service. Our business has been built on the policy of honest and upfront pricing. Landlords can find prices for all of our services on our website. We offer free, no pressure site surveys and are happy to liaise directly with your tenant or letting agent, ensuring one less thing for you to worry about. Our standard call-out charge for plumbing and heating work is £50 for the first hour (£65 out of hours) and £30 (£55 out of hours) for every hour after that. From leaking taps to the installation of a new heating system, our engineers are fully trained to handle any job. We are proud to be Worcester Bosch ‘Gold Accredited Installers’ and fit their range of industry leading, energy efficient boilers. As a Gas Safe registered company, we are qualified to install, repair and replace all gas appliances and issue gas safety certificates. We are proud to be one of a select group of Worcester Bosch ‘Gold Accredited Installers’. Our team have received full training on the correct installation and maintenance of Worcester Boilers and can offer a guarantee of up to 8 years with your new system. No, all of our surveys are completely free. How much do you charge for a call-out? Our standard callout charge is £40 and £30 for every hour after that. For out of hours callouts, our charge is £55 for the first hour and £45 for every hour after that. All work is calculated by the half hour, so if a job takes 80 minutes we will only charge you for 1.5 hours. Where can I find testimonials from your customers? If you would like to find out what our previous customers thought of the work and service they received from us, check out our Google profile. As a landlord, do I need a gas safety certificate? It is a legal requirement for landlords to hold a valid gas safety certificate. This must be renewed annually by a qualified gas engineer. 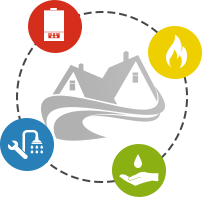 We charge per appliance for gas safety certificates, with the first appliance charged at £45 and each subsequent appliance costing £25.